The idea of public space has moved from a critique to an orthodoxy, embraced by most stakeholders as an important part of urban development. In this process, however, it has been co-opted in ways which may be at odds with its earlier ideals. 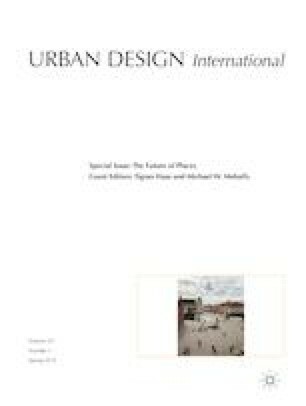 This paper develops a critique of this process of transition, showing how the rhetoric of the public space as a multidimensional space of interaction may be used, but practically targeting the creation of a space of attraction, an instrument of delivering investment and maximizing rewards. The paper examines four areas of this transition in the broad processes of political, economic and cultural transformation, and the gaps between rhetoric and reality in the provision and character of public spaces reflect these processes in concrete ways. Creative Sheffield. 2010. Creative Sheffield: Transforming Sheffield’s Economy, http://www.creativesheffield.co.uk/, accessed 21 April 2010. Heritage Lottery Fund. 2016. State of UK Public Parks 2016, https://www.hlf.org.uk/state-uk-public-parks-2016, 30.9.2016. Local Data Company. 2013. The Knowledge Centre, http://www.localdatacompany.com/knowledge, 23.5.2013. Stiglitz, J. 1999. Public Policy for a Knowledge Economy, Washington DC: World Bank, http://www.worldbank.org/html/extdr/extme/jssp012799a.htm, accessed 6 July 2009. UNESCO. 2010. Science and Technology Park Governance, http://www.unesco.org/science/psd/thm_innov/unispar/sc_parks/parks.shtml, accessed 8 April 2010.